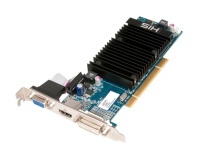 HIS' 5450 Silence is the first PCI graphics card to feature native HDMI output. A group of companies including AMD, Intel, and Samsung, have pledged to cease D-Sub support. We preview the BlastFlow Siberian which is not your usual waterblock, this one has a Modular design that lets you upgrade cheaply and quickly on any GPU. Not only that but it performs better than the competition too! AMD's 690 series chipsets launched earlier this week and it's a much needed refresh to AMD/ATI's integrated chipset product line. We preview 690G's performance potential before getting down and dirty with the boards over the next week or so. Spinning off its mainboard and VGA business, the new company will create high-end components for gamers that could surpass previous efforts Gigabyte has made. 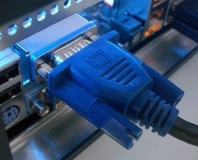 IDF SPRING 06: VGA is dead, long live... wait, what happened to DVI and HDMI? We get to the bottom of next-gen displays on PCs.